Finally, a short post for the Financial Times Beyond BRICS blog, trying to challenge some of the narrative that we see around the Belt and Road pushback that has become the dominant feature of the public conversation. It is happening, but being mischaracterised at the moment. To also separately catch up on media, spoke to NBC about the US-China clash and to Reuters about the recent attack on the Chinese consulate in Karachi by the Baluchistan Liberation Army (which was picked up a few places including in 普通话 for VOA Cantonese). There is a narrative of pushback against the Belt and Road Initiative, China’s programme to finance and build infrastructure in about 88 countries around the world. Coming against the backdrop of US-China confrontation, this evidence of pushback is being read as a collective response to Chinese leader Xi Jinping’s overarching foreign policy concept. But this misses the detail of several deals in which the context is more one of renegotiation than cancellation. The fundamental logic of many of the BRI in developing countries neighbouring China remains intact. Such is the need for investment in these countries that Chinese proposals for new bridges, highways, railways, power stations and other crucial infrastructure remain alluring. It is five years since Mr Xi’s pair of speeches in Astana and Jakarta launched the BRI. Since then, much of what China does outside China has become associated with the BRI. At one stage, this was true of much within China as well, where almost every region and institution sought to associate themselves to the leader’s big initiative. Five years later, it can come as no surprise therefore that some of the projects that were brought under the broader BRI umbrella have encountered issues. One consultancy, the Washington-based RWR Advisory Group, has estimated this number to be around 14 per cent. This number does not seem too high when one considers the surge in project announcements that followed Mr Xi’s speeches in 2013. It is also useful to dig into the detail of the projects that are being repeatedly highlighted as problematic. Three prominent cases are in Pakistan, Malaysia and Myanmar. But rather than revealing consistent flaws in the BRI’s design, each of these cases derive in part from a push by local governments to renegotiate some BRI projects. With both Pakistan and Malaysia, an election appears to have precipitated the change. The election of Mahathir Mohamad as prime minister in Malaysia led to dramatic changes within the country, including a general re-accounting of some of the deals that had been signed under the former government with China. The most prominent were a series of pipelines and the East Coast Rail Line. After a visit to Beijing, Mr Mahathir seemed to cancel them all, but subsequently, it has emerged that while the pipelines were put on hold until the country was able to deal with the “internal fiscal problems” he had inherited, the ECRL has instead entered a period of re-negotiation as both sides seek to keep the project moving. Mr Mahathir’s public rhetoric has expressed concern about China, but he has also repeatedly stressed the importance of Chinese investment into Malaysia. The case is similar with Pakistan, where the election of Imran Khan as prime minister led to a change in public rhetoric in Islamabad. Specifically, it has helped crystallise a series of complaints about the China-Pakistan Economic Corridor that had been rattling around the Pakistan government. This was given a boost through public statements by Mike Pompeo, the US secretary of state, and a bipartisan letter from the US recommending confronting China over the BRI in general and CPEC in particular. Yet, the reality is that this has not resulted in massive changes to CPEC. Pakistan’s balance of payments crisis has prompted a push by the new government to seek new loans or debt rescheduling between Saudi Arabia and China. Following his inaugural visit to Beijing, Mr Khan agreed to a joint statement in which the two countries “dismissed the growing negative propaganda against CPEC”. They also announced the creation of a new working group “on social-economic development to assist with livelihood projects in Pakistan”. In fact, the active pushback on CPEC projects took place before Mr Khan’s election, with the decision to reject a proposal to build the Diamer-Bhasha Dam taking place when Nawaz Sharif was still in power. This was widely touted as evidence that Pakistan was not simply going to take every infrastructure project that China wanted to do in the country. Finally, there is the case of Kyaukpyu in Myanmar, a massive port project that is in some ways one of the precursors to the BRI, the Bangladesh-China-India-Myanmar BCIM Economic Corridor. Seeing how the international mood was shifting against Chinese investments, Naypyidaw appears to have taken advantage of the situation to renegotiate the port deal. Part of a much bigger Chinese investment that includes Special Economic Zones and pipelines, the project is one that is clearly important to China. The re-negotiation ended up with the size of the project being cut back considerably (reportedly from $7.2bn to $1.3bn), with Chinese investor CITIC still the biggest single partner on the project holding a 70 per cent stake. Reflecting the positive tenor of this negotiation, Myanmar officials in September signed an agreement in Beijing to create a China-Myanmar Economic Corridor. While this may appear to dilute the importance of a pre-existing Bangladesh-China-India-Myanmar corridor, it certainly does not suggest that Myanmar is vociferously turning against the BRI. Doubtless, some of this re-negotiating is a product of each other. The press coverage to emerge from Hambantota in Sri Lanka and the reports that the country ultimately signed over a 99-year lease on the port to a Chinese firm, have all become something of a byword for BRI concerns. Leaders in capitals like Islamabad, Kuala Lumpur and Naypyidaw all saw an opportunity to push back on terms themselves. It provided easy domestic wins, while also being something that they knew they were likely to win given China’s need for the BRI to be seen to be continuing to move forwards. For both the idea of scrapping BRI within their countries was never really on the table. The underlying logic and general trend of Chinese investment in these countries continues to hold. What has accentuated the negative narrative in the public discourse has been Washington’s attempt to harness this pushback into its broader conflict with China. Donald Trump’s administration has led an increasingly aggressive bipartisan push against China in numerous different fields. Yet fought on these terms, this is a losing battle for Washington. In many cases the countries in question are developing countries that need investment. As Chinese neighbours, there is a natural logic in them trying to tap the Chinese economic boom, and improving their regional connectivity. A far more productive response can be found in Washington’s decision to super-charge the Overseas Private Investment Corporation, offering a funding boost for e-infrastructure investment in south-east Asia while encouraging other regional powers like Australia and Japan to focus their efforts on specific projects in developing countries currently considering BRI investment. This is the sensible response to BRI, as it both understands the logic of the projects in these developing countries and offers a logical alternative that they can choose. This is a response that far more effectively captures the broader logic of re-negotiation that is visible across BRI countries. Five years since the announcement of BRI, it has grown to become a synonym for China’s outward investment strategy and broader foreign policy. As is natural with any major effort like this in foreign policy by a big power, it is raising concerns in countries impacted along the way. What is essential to understand is the logic of this pushback which is not part of a broader conspiracy, but rather a set of individual reactions that are taking place at the same time. Keeping this understanding in mind will enable the world to better respond to the BRI and China more generally, while also remembering that the broader vision is one that is appreciated in some parts of the world as much as it is feared in others. 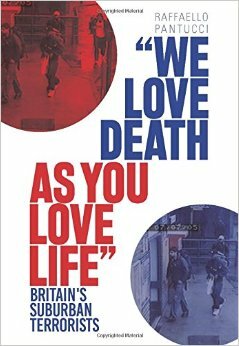 The writer is director of international security studies at the Royal United Services Institute. Quite a bit of catch up posting to do. Been distracted with various projects, so going to do it all in one sweep this evening. First up is an article for the South China Morning Post looking at the threats to Chinese interests in Pakistan from separatist groups in the country. The attempted suicide bombing against a bus carrying Chinese engineers in Dalbandin, Balochistan highlights the complexity of the security problems China faces in Pakistan. The attack was a rare suicide bombing for the Balochistan Liberation Army and was specifically targeting China. It showed how Beijing is finding itself dragged into a clash whose answer lies in the resolution of fundamental issues within Pakistan. In February this year, The Financial Times ran a story which claimed that Chinese officials had been negotiating for years with Baluchi separatists. At around the same time, the Chinese ambassador to Islamabad gave an interview to BBC Urdu in which he proclaimed that Baluchi separatists “were not real Pakistanis” and did not pose a threat to the China-Pakistan Economic Corridor (CPEC). None of this is that surprising, nor is it impossible that China (or Chinese entities) have been in contact with Baluchi groups. 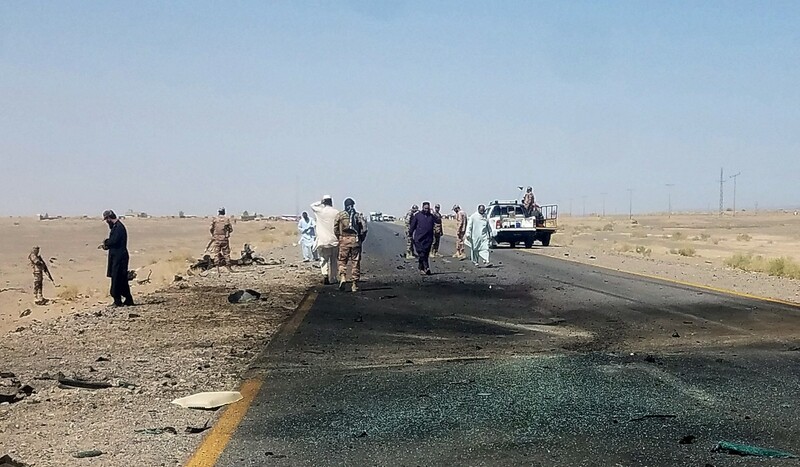 Since the China-Pakistan Economic Corridor was announced, at least two publicised incidents have occurred in which Chinese nationals were almost killed by Baluchi separatists; other, similar occurrences likely have received less attention. Furthermore, many have taken place where Pakistanis have lost their lives. In September 2016, the Pakistani government announced that at least 44 Pakistanis had lost their lives on CPEC projects. Since then, there have been many more reported incidents by the BLA specifically targeting CPEC projects – incidents they publicly link afterwards to CPEC –, leading mostly to the deaths of Pakistani guards or workers. Prior to the announcement of CPEC, at least seven Chinese workers had died at the hands of Baluchi separatists, as well as numerous Pakistanis. And China’s problems have expanded beyond Balochistan. Since CPEC’s announcement, the targeting of Chinese interests and nationals by Sindh separatist groups has increased noticeably. After one bombing that injured a Chinese worker and his companion in May 2016 in Karachi, a note was found stating that “we will oppose every anti-Sindh project, including the China-Pakistan economic corridor”. In fact, the specific threat to China seems to emanate more from separatists than Islamists. It is true that since CPEC’s announcement, four Chinese nationals have lost their lives in Pakistan to violent Islamists, but it is not clear that China was a target in the incidents. In contrast, Baluchi or Sindhi groups loudly state that they are targeting China. There are obvious reasons for this. For separatist groups, the Pakistani state is the ultimate enemy. As Islamabad’s closest friend, Beijing becomes a target by association. And the people of these regions do not feel like they are getting their piece of the CPEC bounty. At a conference in Islamabad shortly before the election, I listened as representatives from Gwadar complained publicly (before numerous security officials) to a Chinese official sitting on a panel about the issues they were having accessing fresh water. This example illustrates a problem that Beijing faces in Pakistan and can be found in other BRI countries as well. The problems of separatism and central government anger in Balochistan and Sindh are not new. Violence in the country is not new (and is in fact in decline), but China is increasingly becoming the focus of attention as the biggest outside player who is focusing on supporting the central state. And while the Pakistani government can provide some support and security for Chinese nationals sent to deliver CPEC in the hope that the economic prosperity it may generate will help alleviate these issues in the longer term, this is only part of the answer. The longer-term answer to the problems of separatism in these regions are to be found in political solutions: issues that infrastructure and mining investment will not resolve, and may in fact be exacerbating. Raffaello Pantucci is director of international security studies at the Royal United Services Institute (RUSI) in London. Catching up again on posting with an old piece for the South China Morning Post, trying to address some of the rather vacuous commentary that exists around the Belt and Road Initiative. Don’t totally agree with the choice of title, but that was of course an editorial choice. Of course more on this to come, and please check out my other site China in Central Asia for my history of work on this. A few bigger projects coming on this topic next year. Also to catch up on some commentary, spoke to the Independent about UK’s historical offender management programme, to the Washington Post about leadership in terrorist groups, to Vox about vehicle terrorist attacks, to AFP about jihadi returnees from Syria, to the Daily Mail about equipment being used to monitor potential returnees, to Newsweek for a historical piece about the Paris attacks, to the National about terrorism trends, to Talk Radio about the Las Vegas shooting, to the Independent about the same incident, to the Washington Post after the recent New York attack, to the Wall Street Journal about terrorism in Germany, to Sky News about what social media companies are doing to counter terrorism, to the Times after minister Rory Stewart’s comments about jihadis dying in Syria, to the South China Morning Post about China’s activity in Syria and finally, to the Economist for this short video on returning foreign terrorist fighters. There is an increasingly tired narrative about how China’s encounters with problems in countries involved in its “Belt and Road Initiative” are evidence of potential bumps along the way. Implicit within these statements is the idea that the project (as though the belt and road is a single project) is still being developed and conceptualised, and that these problems are something for down the road. The reality is that the initiative is already under way and China is already managing the problems it is encountering. Announced in 2013, the initiative was Chinese President Xi Jinping’s way of stamping his name on something that was already under way. The story of Chinese investment in Central Asia goes back to the first days of the collapse of the Soviet Union. As the Chinese economy grew, it slowly spilt over its western borders, following the natural flow of regional trade. As trouble in China’s Xinjiang got out of hand, an approach of using heavy economic investment to improve the region only accelerated this flow. This became the root of the Silk Road Economic Belt. Down in southern China, the 1999 Kunming Initiative aimed to foster greater connectivity for Yunnan province, all under the auspices of former president Jiang Zemin’s Great Western Development Strategy. This became the root of the Bangladesh-China-India-Myanmar Economic Corridor. In Pakistan, as far back as 2002, former premier Zhu Rongji visited Pakistan to inaugurate work at the port in Gwadar. Meanwhile ex-president Hu Jintao announced a surge in trade and investment with Pakistan in 2006. The bones of the China-Pakistan Economic Corridor had been laid out long before Premier Li Keqiang signed a memorandum of understanding in 2013. And none of this covers the port investments in Sri Lanka and other Southeast Asian ports that have long bothered India. There is no doubt that the agglomeration of all of these projects under a single umbrella has turbocharged them. While previously projects somewhat sputtered along, the high-level attention that is accorded by becoming belt and road initiatives, plus the investments and companies that follow, have changed their dynamics. But the key point to remember is that something was already under way. This is not, for the most part, completely fresh and brand new investment. It builds on old ideas and in some cases on old contracts. Consequently, it is incorrect to say that China is completely new to these countries and completely new to problems they may encounter. Kyrgyzstan, for example, has faced a few moments of domestic instability. Back in 2010, rioting in the wake of a contested election and fierce interethnic clashes led to the evacuation of Chinese traders working in border trading posts. The kidnapping and death of two Chinese engineers in the Gomal Zam Dam project in Pakistan in 2004 led to a cessation of work in the country. Suffice to say, the problems that China may encounter through investing in challenging periphery countries are not new. What has changed, however, is the scope of China’s investments and the numbers of people and assets involved. This does change the dynamic somewhat, leaving China exposed in a way that it has not had to manage thus far. While previously, having to worry about a few people in faraway lands was largely something that could be left to local actors, increasingly this is not the case. Not only are there far more people and assets to worry about, they are vocal and angry when they get in trouble. Voices get to Beijing and stoke fires of public anger suggesting China is unable to protect its citizens, notwithstanding the massive investments it has made in its security forces. Additionally, Chinese citizens are increasingly obvious targets. Gone are the days when Chinese were overlooked as poor beggars eking out an existence. In China’s neighbourhood, they are increasingly the big investors (whether this is true or not) and this has consequences for their image overseas. They are now wealthy and attractive targets, both in terms of their economic value, but also in that they are increasingly the representatives of the big power that is supporting a government that may be unpopular for various reasons. All of this makes them targets for angry locals keen to protest against the state, or criminal and terrorist elements who are looking for opportunities. There is no doubt that China is going to encounter bumps as it paves, mines and develops the belt and road projects. But these problems are not new, in much the same way as the investments themselves are building on deep conceptual and financial foundations that have come before them. The belt and road is not so much a coming concept as a current reality. Understanding the specific nature of each branch is going to be the important determinant that people should be focusing on to understand how and whether the belt and road is worth engaging with. It is also how China is going to comprehend how it is going to mitigate the risks that it is already managing better. Another new piece for my institute’s in-house magazine, RUSI Newsbrief, this time looking at China-Pakistan and some of the problems that China has been experiencing in trying to implement its China-Pakistan Economic Corridor (CPEC) project. As ever, more on this topic to come and found on the China in Central Asia site. China has invested millions into Pakistani infrastructure, but will internal political conflict in Pakistan prove to be the bane of the CPEC’s existence? The China–Pakistan Economic Corridor (CPEC) has become one of the emblematic foreign policy initiatives of Chinese President Xi Jinping’s broader ‘Belt and Road’ vision. An ambitious and wide-ranging investment project, the CPEC offers Pakistan a way through a number of its biggest problems – including domestic power supply, lack of infrastructure, and parts of the country that are underdeveloped – while giving China strategic port access to the Indian Ocean and creating a corridor to external markets for the underdeveloped southern part of the Xinjiang Uighur Autonomous Region. Yet earlier this year, the Chinese Embassy in Islamabad was put in the awkward position of having to formally distance itself from acrimonious internal political wrangling within Pakistan around the CPEC. In a pattern that is likely to repeat itself elsewhere as China continues to try to turn the ‘Belt and Road’ concept into a reality, Beijing is finding that it is unable to simply sidestep local entanglements and plead non-interference. Pakistan may prove to be a testing ground to see whether China can avoid local entanglements as the Xi administration seeks to advance its vision for a network of global trade corridors under the ‘Belt and Road’ rubric. Although it was first announced in May 2013 during the visit of Chinese Premier Li Keqiang to Pakistan, the CPEC was the culmination of many years of steady Chinese investment in Pakistan. A month later, during his inaugural visit to Beijing, Pakistan’s newly elected prime minister, Nawaz Sharif, signed a Memorandum of Understanding formalising the CPEC project. Two years later, it was given a reported injection of $46 billion when President Xi made a reciprocal visit to Pakistan in April 2015. While relations between Beijing and Islamabad had always been close, it was mostly based on deep and reactive security co-operation – either in terms of Pakistan responding to China’s concerns about terrorism, or China backing Pakistan in its disputes with India. The announcement of the CPEC changed the relationship: it became supercharged as CPEC was presented as the answer to some of Pakistan’s most pressing problems. For example, the focus on the port of Gwadar in Pakistan’s restive Baluchistan offered the potential to economically revitalise one of the country’s long-troubled regions. At the same time, the emphasis on energy programmes (with investment worth almost $34.4 billion, according to Pakistan’s Ministry of Planning, Development and Reform, which would double Pakistan’s generating capacity) promised to address the country’s biggest shortages. This potential goes some way to explaining the often hyperbolic narratives surrounding CPEC in Pakistan. Given these excessively high expectations, it might therefore be unsurprising that the project has not been plain sailing. This was not entirely unexpected, with senior officials in China openly expressing their concerns about security and the viability of the overall project from the very beginning. During a meeting in Beijing in August 2013, Lin Dajian, vice director-general of the Department of International Cooperation at the National Development and Reform Commission, the governmental body within China that is steering the CPEC, highlighted ‘the security issues and challenges that could impede the speed of [the] project’. What appears to have surprised China, however, is the degree of pushback and difficulty encountered within Pakistan at a political level. This came to a head in January, when problems in two provincial Pakistani governments made headlines that even managed to drag in the local Chinese Embassy. The government of Khyber Pakhtunkhwa (KP) issued a threat through its chief minister, Pervez Khattak, who warned that ‘if the federal government does not address the reservations of KP about the [CPEC] project, then we will take an extreme step.’ Khattak’s concern appears to be that the KP government will not receive its fair share of the CPEC project. At around the same time, stories emerged in the press that the government in Islamabad was exploring the possibility of changing the constitutional status of its northernmost province of Gilgit-Baltistan in response to Chinese concerns about its ability to build some CPEC routes through the disputed region – since China does not want to find itself spending money and sending people to work in areas whose ownership is legally unclear and therefore subject to aggressive contention or dispute. Claimed by India as part of Jammu and Kashmir, the region was traditionally referred to as ‘Northern Areas’ and controlled directly by Islamabad. In 2009, as part of a measure to turn it into a full province by Pakistan, the name was formally changed to ‘Gilgit-Baltistan’ and a legislative assembly was established. In January 2016 the government in Islamabad started to make noises again about taking this process further by recognising the region in the constitution and going some way towards integrating it into the country. At present, Gilgit-Baltistan has an opaque status similar to that of other parts of the Kashmir region claimed by Pakistan. Islamabad continues to state that the parts of Kashmir it controls are in fact semi-autonomous and are therefore not formally integrated into the country; this is in line with its position that a referendum should be carried out across the entire region. By taking this step, however, Pakistan risked incurring anger in India as well as in Kashmir itself. From the perspective of the neighbouring province of Azad Jammu Kashmir (AJK), the fear was that recognising as a separate province a region that had hitherto been treated as part of AJK might lead to India changing its position on the disputed territories. In addition, officials in Gilgit-Baltistan had their own concerns. They were worried that they were going to miss out on their piece of the CPEC pie. These fierce regional rivalries were also rooted in Pakistani party politics. In KP, the provincial government is ruled by the opposition Pakistan Tehreek-e-Insaf (PTI), while in AJK the government is controlled by the largest opposition party, the Pakistan People’s Party (PPP). Pakistani commentators have long argued that both parties want to see the CPEC fail: if it succeeds on schedule, it will likely be a strong vote puller for Prime Minister Nawaz Sharif and his Pakistan Muslim League-Nawaz (PML-N) party. This is because the early parts of the CPEC will likely be most beneficial to the PML-N stronghold of Punjab province. Indeed, in November 2015 the leader of the PPP in the National Assembly, Syed Khursheed Shah, wrote to Sharif expressing concern that the project appeared too ‘Punjab-centric’. The escalation of these domestic political disputes to the halls of power in Beijing highlights how complicated negotiations around the CPEC have become. While Pakistani officials at every level seek to distance themselves from negative comments about China, it is nonetheless the case that Chinese activity in the country has been the immediate source of these problems. And these are not the only problems that China faces in Pakistan. Apart from militancy, either from violent Islamists or separatists, China has to confront the problems of its workers being kidnapped and its nationals becoming embroiled in local criminal networks. Whilst unsurprising to most observers of Pakistan, these problems nonetheless illustrate a larger problem that China will increasingly face as it pushes its ‘Belt and Road’ vision out across the Eurasian continent. Making considerable financial investments and importing large numbers of Chinese nationals into a region does not eliminate tensions on the ground. In fact, large investments can exacerbate tensions. They can increase inequality, or, as appears to be the case in Pakistan, they can cause local political tensions. This undermines the argument that appears to underpin Chinese investment policy in both the third world and at home – that development will bring with it political stability. In Pakistan in particular, China is increasingly going to find itself in difficult situations. China is investing in security in Pakistan at a number of different levels. Not only is it helping the country build its big ticket weapons systems such as aircraft and submarines, but it is also helping police forces to improve security on the ground. It is unclear whether these expenditures are included in the approximately $46 billion associated with the CPEC project, but China will find that the expenses on Pakistani police and army will be constant, and China may find itself having to foot the bill for as long as Pakistan continues to face instability at home. The CPEC has the potential to be game-changing for Pakistan, but it is unlikely to solve all of the country’s ills or to be completed any time soon. For observers of the ‘Belt and Road’ vision, China’s experiences in Pakistan may offer a taster of what it will encounter elsewhere in the world as it seeks to implement President Xi’s ambitious foreign policy vision, a vision that he hopes will be his legacy. This is a slightly longer freeflowing piece for an old site I used to contribute to fairly regularly called The Interpreter, the blog for a great Australian think tank called the Lowy Institute. Was based off some reflections from some recent travel I got to do to China, Pakistan and Uzbekistan. I’ve been lucky with the piece getting some traction, including some nice tweets, Casey Michel quoting it in his piece about China’s energy relations with the region and the Australian Business Spectator magazine republishing it. Thanks Sam for publishing it, and goes without saying a lot more on this theme and style to come! Once the heart of the Timurid Empire, the city of Samarkand now sits in the middle of Uzbekistan, relegated to a splendid tourist attraction. Sitting atop the city with a clear view in every direction is the great astronomer Ulugh Beg’s observatory, from where he mapped the stars while his grandfather’s empire ebbed away. Samarkand was at the heart of the ancient silk trading routes, which went cleanly around Russia, crossing Central Asia, Afghanistan and Iran to reach Turkey and Europe’s shores. Track forwards to today, and this straightforward route across the continent is being replicated by China. The first freight train left from Yiwu in China’s Zhejiang province en route to Tehran in the wake of President Xi Jinping’s recent visit to Iran. Beijing, it seems, has the ancient silk routes in mind. My recent visit to Uzbekistan was part of a longer trip that included stops in Islamabad, Beijing and finally Tashkent. With conferences and workshops at each stop, the goal was to understand China’s Silk Road Economic Belt strategy from the ground up. This particular trip was aimed at trying to understand some of the recent shifts around the vision, now that President Xi has so clearly thrown his institutional weight behind it. While no such trip is every wholly conclusive, I walked away with two clear impressions. First, in Pakistan, China is uncertain about how it is going to mitigate the complicated local political dynamics it is getting dragged into as local authorities quibble over where different strands of the China Pakistan Economic Corridor (CPEC) should go. Second, in Tashkent, Uzbekistan is hesitant to completely fall into China’s embrace, but prefers it to Russia’s entreaties. The lesson from Tashkent was hammered home at Ulugh Beg’s monumental observatory. Built in the 1400s, it was a testament to Timurid ambition. Inheriting a weak tribe, the great Timur the Lame turned their fortunes around and built an empire that spanned the ancient Silk Road from Beijing to Turkey’s Asian shores. As our guide pointed out, this meant that he was able to levy taxes along the entire route. He left a mighty inheritance to his sons which meant his grandson, Ulugh Beg, could build his monument to the stars. The ancient routes brought prosperity, scientific advance and grandeur that lived through the ages. Nowadays, Beijing’s long-term ambitious are less clear, though the short-term direction is obvious. Having decided that China’s west needs to be reconnected to the world, Beijing has poured massive investment into Xinjiang and across the border into Pakistan and Central Asia. While the exact route of the CPEC through Pakistan is not certain (hence the bickering in Islamabad), the general path, linking Kashgar to the seas, is clear. Similarly, in Uzbekistan, the plan to develop train lines from Tashkent through Ferghana to Kyrgyzstan points to a project that will help develop faster train links across Central Asia to China. And sending a train down the route from Yiwu to Tehran shows that these routes through the region exist already. The loser in all of this Eurasian connectivity is Russia. A historical player in the region (and one which Timur attempted to dominate a number of times), Moscow has chosen to express itself through the establishment of the Eurasian Economic Union, an attempt to re-create the Soviet economic space whereby fiscal rules and customs tariffs in the heart of Eurasia are determined by the Kremlin. 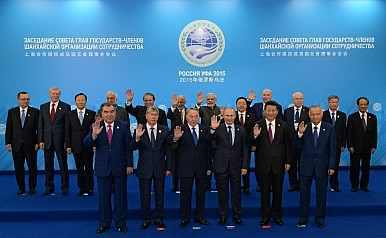 But the EEU is largely seen as a paper tiger; policy-makers I spoke to in Beijing are uncertain it will survive. they point to tensions between powers in the Union (eg. blocked trade between Kazakhstan, Belarus and Russia), and they say it seems unlikely the already faltering Kyrgyz or Armenian economies will welcome higher tariffs on their external trade while their domestic markets are opened up to Russian monopolies. Anyway, seen from Beijing, the single customs and trade bloc is actually a convenient trading and transit partner, offering one clear market from China’s western borders to Europe’s eastern flank. Even if Moscow chooses to frustrate China’s silk route strategy, the opening of Iran shows its increased viability. The ramifications are hard to predict. In ancient times, eventual overreach and imperial intrigue weakened the Timurids and they lost control of the Silk Road. Samarkand today is testament to their faded glories. For China, it may be too early to predict over-reach, but certainly the slowdown at home is having ramifications abroad. Already, softening domestic gas needs have led to the suspension of the Line D gas line bringing hydrocarbons from Turkmenistan to China through Uzbekistan. In Pakistan, security concerns persist, but more intriguing is the possibility of China exploring opportunities in Chabahar, Iran, a port not far from Pakistan’s Gwadar and in a far less sensitive part of the country, thereby suggesting a more convenient and cheap route to the seas. While Chinese state planners declare there is room for all of these projects under President Xi’s ‘Belt and Road’ vision, in truth it means China has options and has constructed a vision which can go in any direction it chooses. This keeps Beijing in the driving seat, careful not to over-promise to any one country while maintaining opportunities with all. It also provides Beijing with the perfect vehicle to keep its domestic capacity moving, with new markets and opportunities found over every hill and in every valley across its western borders. The longer term problem for China is the responsibility that will eventually fall to it. While Beijing may see itself as a provider of goods and opener of markets, it is in reality reconnecting the continent in order to place itself at the heart of a new latticework of infrastructure and trade routes emanating from Urumqi. Not only is China going to be bound to these markets, it will also increasingly find itself in an awkward place when trying to sidestep involvement in local issues. Already visible in Pakistan in complaints around routes planned by the CPEC, this haranguing is something which is going to become increasingly common as Chinese planners and builders find themselves marching into difficult places with no clear understanding of local dynamics. And while such complications can be sidestepped in distant Africa, in neighbouring Eurasia it has ramifications with direct links home. In tracing the ancient Silk Road, China needs to find a way to navigate through the many cultures and civilisations that live along it. As China displaces Timur to become the guarantor of the ancient silk roads, the logic of non-interference can no longer hold.